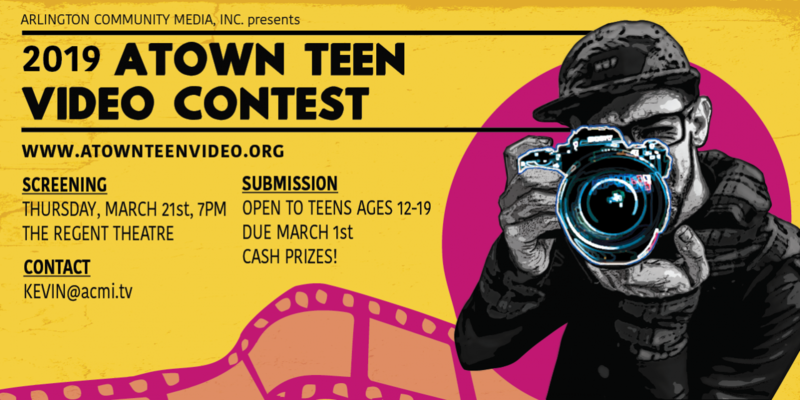 A-Town Teen Film Festival - Arlington Community Media, Inc.
Watch films from last year! Digital HD .mov files are preferred, but most files other than .wmv will be considered. Note: if you are submitting more than one video, each additional video will require a $10 fee. For example, if you are submitting one video, there is no fee; two videos would be $10; three videos $20, etc. (2) Send completed application and final video electronically (i.e. Google Drive, DropBox) to Kevin at kevin@acmi.tv. * Crowd Favorite to be chosen by crowd vote following film viewings — so invite your friends! Invite grandma! Invite anyone you know who believes in your dreams! Have your parent/legal guardian sign the consent and release form if you are under 18 years of age. Videos featuring or produced by employees of ATVC sponsors or their family members will not be eligible for first prize. Videos should be approximately 2 to 10 minutes in length. To enter, complete the official entry form and submit your video as described in the contest application & video submissions info above. There is NO FEE for the first video. Additional videos will be $10 each. USE ROYALTY-FREE OR ORIGINAL MUSIC! If your submitted video contains music, video clips, photos, drawings, icons, logos etc., these items must be of your own creation or music available for free download on a site such as www.jamendo.com or freesound.org. Cite program used to create original music included in your production (e.g. Garage Band). 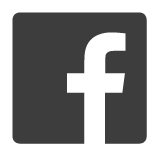 Provide artistic credit for free music from a downloaded source. If in doubt about the copyright of any and all items, please do not use them. All videos thought to be in violation and/or infringement of copyright will be immediately disqualified. All video entries will be judged by individuals designated by ATVC. ATVC and/or its designated agent reserves any and all rights to use or broadcast any and all video submissions via media outlets and to distribute any or all video submissions to third parties. ATVC and/or its agents’ employees, directors, and officers take no responsibility and assume no liability in the video creation or its content. Be creative, but be respectful. Judges will only consider content that is suitable for general audiences when selecting winners. I’d love to make a video! But I need help! Looking for help creating your film? ACMi is here to help! Contact Youth Coordinator Kevin Wetmore for training on preproduction, camera, audio equipment, lighting, editing, special effects, and more. We can also help connect you to your local media station. Click here to contact Kevin Wetmore for help! PreviousHoliday Tree Lighting this Saturday!